If you're approved for a credit card, you'll typically find out right away. When you're denied, however, it's a completely different situation. Credit card issuers rarely tell you on the spot that your credit card application was denied. Instead, they send a letter, an adverse action letter, within 7-10 business days of your application that gives more details about the decision. The adverse action letter will give you the specific reason or reasons your credit card application was denied. The letter will also include instructions for getting a free copy of your credit report if one was used in the decision. While you’re waiting to get your letter, here are some possible reasons your credit card application could be denied. If you're familiar with your credit history, you may be able to guess which of these explains why you weren't approved. 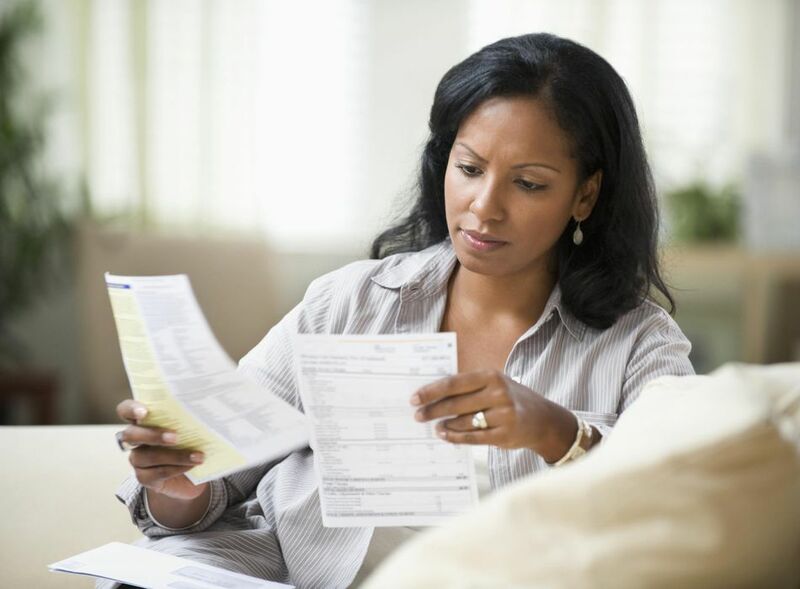 Having too much existing debt can make it harder for you to take on a new payment. If your loan loan balances are high, credit card issuers might be hesitant to give you a credit card. Paying down your loan balances can improve your chances at getting approved. Credit card companies want to see that you’re only using a portion of the credit available to you. If you’re using too much of your available credit, especially if you’re maxed out, you can count on having your credit card application denied. Keeping your balances below 30% is best for your credit score and your ability to get approved for a new credit card. Applying for too many credit cards and loans within a short period of time can get your credit card application denied, regardless of whether you’re approved for the other credit cards. There's no set number of inquiries that will prevent you from getting approved. Minimize your credit inquiries is better when you're trying to get a new credit card. The income required for a credit card varies by credit card issuer. Your credit card application could be denied if you don’t make enough money for that particular credit card or if you don't have an income of your own. Credit card issuers don't publish minimum income requirements for their credit cards, so it’s up to you to estimate which credit cards fit your income. The number of credit cards you already have can influence whether your credit card application is denied. There’s no universal number that applies to all credit card applications. Instead, it varies by credit card issuer. As time goes on, collections and public records affect your credit less. However, these hurt your credit the most when they first appear on your credit report. These serious delinquencies are a sign to the credit card company that you don’t have enough money to meet your financial obligations. Credit card issuers look at more than just the type of delinquency on your credit report. They also consider how long it’s been since you were last delinquent. Your recent payment history is better for predicting how you'll handle a new credit obligation than history from several years ago. For example, a 90-day late payment from six months ago will hurt your chances of getting approved more than the same negative entry from six years ago. A charge-off is a credit card balance that went unpaid for six months or more. It’s one of the worst things that can appear on your credit report. If you failed to pay another credit card, especially if it was recent, a new credit card company will hesitate to give you a credit card. Your credit card application could be denied if you've never had credit before or if you don't have much experience with credit. Your credit report must contain at least one account that’s been active in the past six months for FICO to generate a credit score for you. Without a credit score, the credit card company is more likely to deny your application because it can't gauge your creditworthiness. If you're just starting out with credit, consider a secured credit card or student credit card to get your credit history started. If you’re under age 18, your application is likely to be denied because you're under the legal age to get a credit card. There are some exceptions. For example, you may be able to get approved for a credit card if you have your own income and you’ve already been added as an authorized user to your parents’ credit card. If your application is missing vital information, like a physical address or date of birth, you risk being denied. The good thing about most online credit card applications is that they often won’t let you submit the application until it’s complete. That way, you eliminate the risk of having your credit card application denied because it wasn’t complete. An unstable work history leads to your credit card application being denied. Credit card issuers like applicants who have been on their job consistently. If you’ve been job-hopping and had periods of unemployment, you may have a hard time getting approved for a credit card. The adverse action letter will include instructions for ordering a free copy of your credit report, if something on your credit report led to your application's denial. Order the credit report and review it for any errors. Dispute errors with the credit bureau if you find any. Otherwise, use this free credit report as an opportunity to repair your credit before your next credit card application.